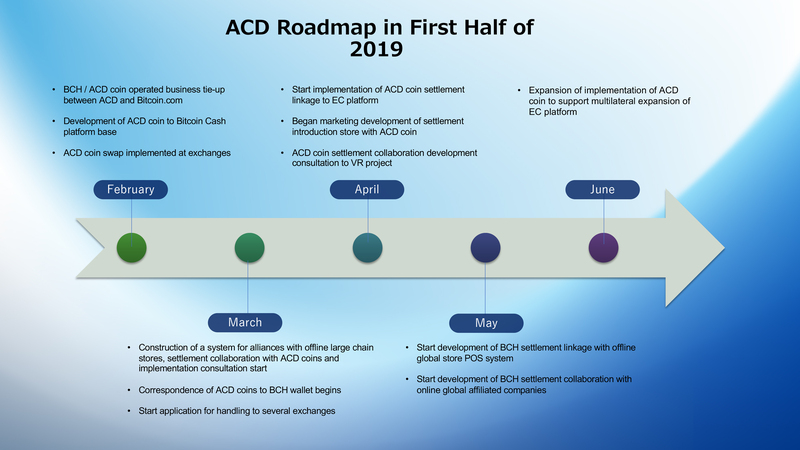 HOME > NEWS > PRESS RELEASE > ACD Inc. and Bitcoin.com will make a joint announcement regarding ACD coin short term roadmap. Along with the announcement, Bitcoin.com CEO Roger Ver expressed that he will hold ACD coin in the future as payment and to provide full support. ACD Inc. and Bitcoin.com also agreed to use ACD coin and Bitcoin Cash for various settlement between 2 companies.